I have always been chubby. As a kid I even had the nickname, Pudge. I never really thought much about my health until my wife was diagnosed with a chronic illness that effected her brain and every aspect of her life. So far, she’s undergone seven surgeries, including 6 brain surgeries. That was a MAJOR wakeup call for us. After her last surgery we decided to change our lifestyle knowing that we couldn’t change her chronic illness but we could save ourselves from other illnesses by focusing on our health. We both started drinking Shakeology and focusing on nutrition. I also started and finished P90X, Tai Cheng, and we tackled the Ultimate Reset together. Since then I have so much more energy. My friends and family are astonished with my results. I’m happier, healthier, and my life has been enhanced SO MUCH this past year through Beachbody. Thanks to P90X I got the six-pack that I always wanted. After that intense program I needed a little rest, so I went straight into Tai Cheng. Tai Cheng was low impact but I realized once I got started that it really works you out! The core strengthening was amazing. My posture and core have never been better. 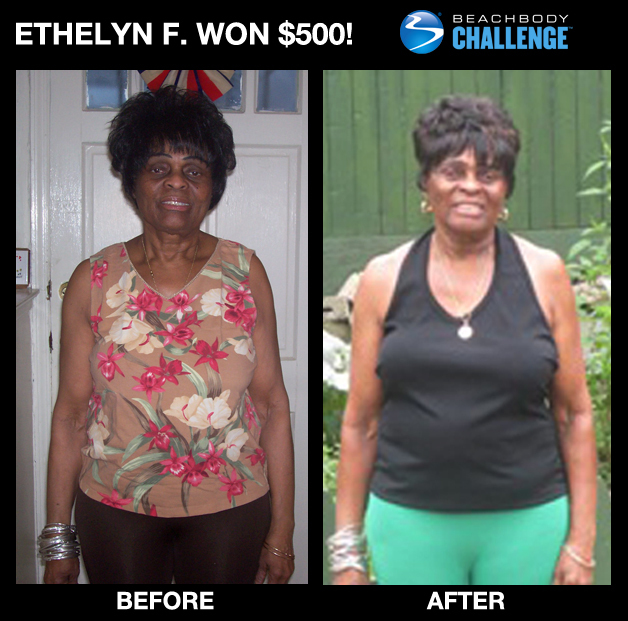 Shakeology made a big difference, too. I’m a Registered Nurse doing home healthcare so I spend most of my day in my car. It used to be easy to grab fast food, but with Shakeology I don’t have to do that. I carry my shaker cup and have lunch on the go. Before Shakeology, I used to chug 4-5 cups of coffee a day to keep me going. But since Shakeology, I haven’t had a cup. I was never really into exercise. But when I was diagnosed with Stage IV Breast Cancer, I knew my life was going to change drastically. After a total mastectomy of my right breast and chemotherapy, I was weak, depressed, and totally convinced that I needed to make some life changes. So at the urging of my daughter and Coach, I started drinking Shakeology daily and incorporating exercise into my routine at age 71! I chose Shakeology because I wanted my body to receive all of the essential nutrients I need for adapting a healthier lifestyle. I fell in love with it and Shakeology is a big part of my daily routine. And it has really helped now that I’m so much more active. I chose Body Gospel because I’m a Christian woman and it’s a faith-based program with up-tempo gospel music an exercise moves that make you feel like dancing and praising the Lord. But I’ve always had stiffness and joint pain, so I chose to do Tai Cheng because it’s supposed to improve flexibility and relieve joint pain and stiffness. Guess what? They both worked. I’ve lost a few inches around my waist. But the best thing is the flexibility I’ve gained through Tai Cheng! I love the way my body feels after exercise. I have more energy. I feel young. And both Tai Cheng and Body Gospel have made me appreciate my life more. I’ve stopped making excuses. I start my day off with a workout. And now I can keep up with my grand- and great grandchildren and enjoy my golden years with my husband. And for that, I give praise! It took a month and a half before I could even walk around. Add the pain from my neck and shoulders and I finally said, ‘enough is enough’ and started looking for an answer. I saw some people talking about how Tai Cheng had strengthened their knee so they could get back to doing what they loved. So I began Tai Cheng with pain in my shoulders, neck and knee. At first, it took all I had to keep up as I struggled with pain in my shoulders holding myself up in plank position. But within a month, I began noticing how my knee was beginning to heal faster and how my body felt so stress-free after the workouts. Today, my shoulder pain is gone. My neck pain is gone. I can plank pain free and keep up with Dr. Cheng. What I like most about Tai Cheng is that it centered me, strengthened me, and kept me aware of my body and how I can align it better. It’s such a powerful feeling. But the best thing Tai Cheng gave me is my knee is back to being 100%! I can even do jumps. It is such a blessing. 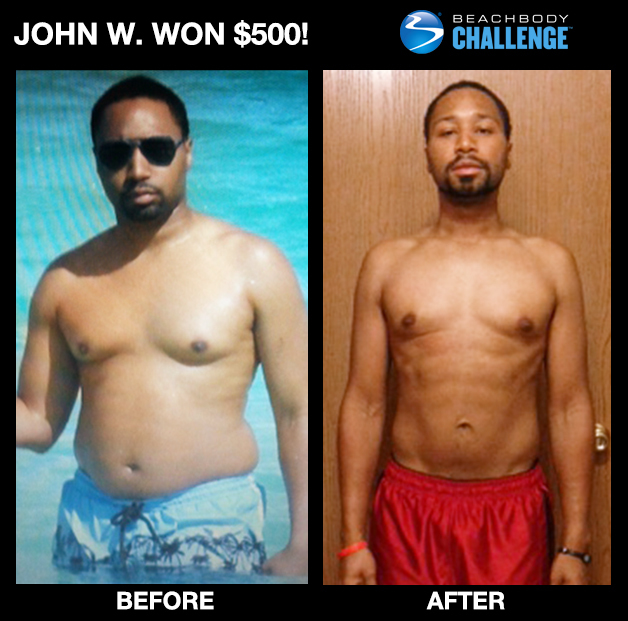 I can’t thank Dr. Cheng and Beachbody enough for giving me back full use of my knee!